It is important to improve understanding of how cities can be better financed to meet challenges over the short and long-term; be they economic, social and/or environmental. The lack of adequate basic urban services and infrastructure is a major challenge in the development of human settlements. With rapid urbanization, governments are increasingly having difficulties to meet the growing demand for housing and urban development, urban services and infrastructure. The lack of revenues is one of the biggest problems facing most cities all over the world, which makes them one of the vulnerable layers of government, with increasing responsibilities and small share in the allocation of public resources. 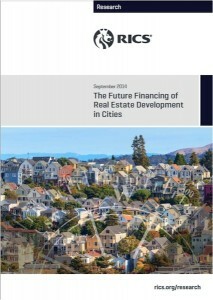 This research project critically analyses the financing of cities by looking at San Francisco City and Bay Area examples of city finance that engage with real estate development. This research is needed to improve the way finance in urban spaces can maintain quality resources in economically constrained circumstances. These resources include market and affordable housing, water, energy, infrastructure, transport, industrial and commercial premises. In turn, this research into the financing of cities facilitates a greater quality of urban places and provides a more sustainable and resilient economic platform with which urban areas can thrive.